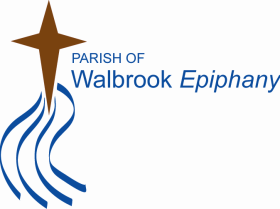 Walbrook Epiphany (inaugurated on 28th January 1996) brings together four former parishes to minister to this inner city area of around 25,000 people or many different ethnicities and traditions. We are seeking to fulfil our mission through the life of two hubs: St. Augustine’s Church Family where we are seeking to deepen our devotion to Jesus and one another and so joyfully invite and welcome others into our church family so that they too may experience God’s love and blessing, come to belong in our church family, come to believe and trust in Jesus, and join us on the exciting journey of becoming the people God has created us to be as we work to see God’s kingdom come on earth. St. Thomas’ Community where we are forming a community of people who show their love of God and neighbour by working together to grow in faith and be a blessing as they serve the local neighbourhood of Pear Tree. The emphasis of this community is on working in partnership with other agencies to minister to the needy and transient people of the Pear Tree and Rose Hill districts of our parish. [The St Thomas congregation moved out of their original grade 2 listed building in 2011 due to the state of repair of the building. Since then two HLF grants have been received and a significant repair and redevelopment programme is currently underway to re-use the church for worship and as a centre for social engagement projects].